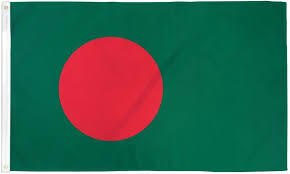 In Bangladesh, Islamic Finance aims to offer a halal financing solution to Bangladeshi Muslims and non-Muslims who wish in the context of Islamic sharia to use Islamic financial products in Bangladesh. In Bangladesh, 25 Islamic banking branches of ten commercial banks and 28 Islamic banking windows of nine commercial banks are also offering Halal financial services. According to the statistics of Bangladesh Bank (BB), in Bangladesh there are currently, eight Islamic banks operating with 1,200 branches in the country and they consist of: Social Islami Bank Limited, Export Import Bank of Bangladesh Limited (EXIM Bank), Islami Bank Bangladesh Limited (IBBL), Al-Arafah Islami Bank Limited, Shahjalal Islami Bank Limited, First Security Islami Bank Limited, ICB Islamic Bank Limited and Union Bank Limited. In Bangladesh, Islamic banking is focusing mainly on the investment in trade and business sector (30%) followed by the industrial sector (29 %) SMEs and microenterprises (25%), real estate (6%).